I graduated from WCHS in 1982. I then attended MTSU from 1983-1987 where I recieved a BS degree. 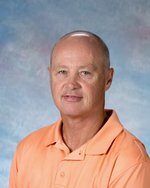 I began teaching at WMS in 1987 where I coached football and basketball for eight years before moving to WCHS. For the past 20 years, I have been teaching and coaching football at Wayne County High School. I married Leigh Anne Holder in 1989. Leigh Anne is a Kindergarten teacher at Waynesboro Elementary School. In 1996, our son Lukas was born. He is a freshman at UT Martin.